All the advice and information you need for eating healthfully during pregnancy and in the early months of your new baby’s life. You’ve spent your whole life trying to eat right—and it’s never mattered more than it does now. Every mom-to-be wants to know how to manage nutritional needs, cravings, and vitamin supplements to create a safe and balanced diet for herself and her baby. 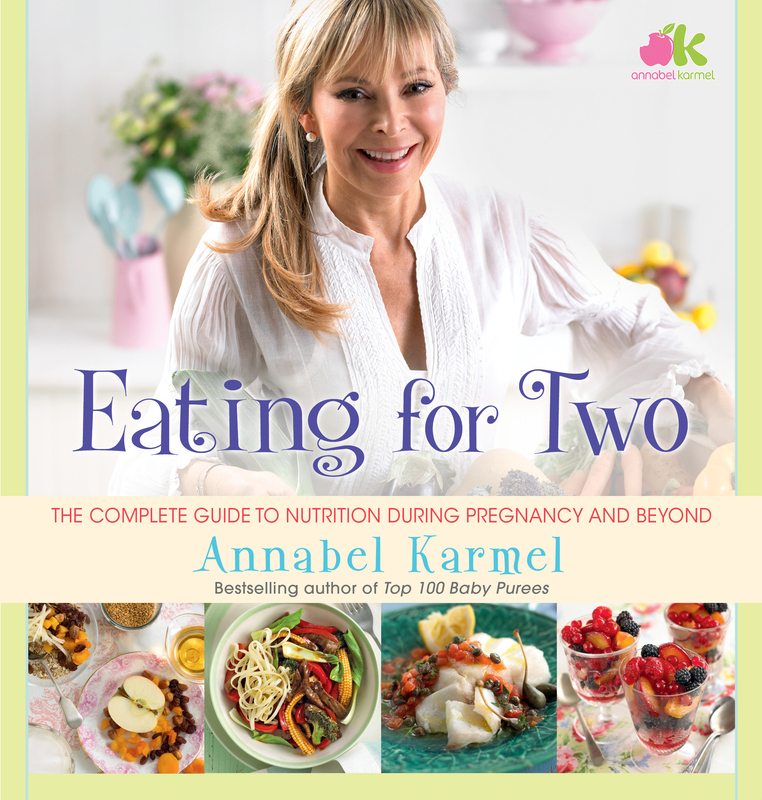 Now, for the first time, child nutrition authority Annabel Karmel brings her knowledge and expertise to expectant mothers, guiding you through each stage of your pregnancy, and offering practical tips and advice on what to eat and what to avoid. From foods that promote conception and ways to avoid morning sickness, to the best eating habits to combat sleeplessness, amnesia, and heartburn, Annabel leads you through your pregnancy and beyond—even suggesting meals to make ahead and freeze for when your little one arrives! With Annabel’s specialized advice and more than ninety simple, fabulous recipes, Eating for Two will give you the tools and confidence you need to eat the best possible diet for you and your growing baby. "Any mother who does not have at least one of her books in the kitchen...should waste no time in putting that right."